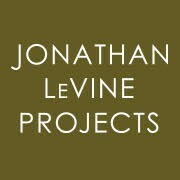 Jonathan Levine Projects is committed to new and cutting edge art. Our roots go back to 1995 when LeVine's life-long participation in punk and underground music grew into a curatorial experiment with the visual culture that surrounded him. In 2005, he opened Jonathan LeVine Gallery in the Chelsea district of New York City and had great success nurturing the careers of many celebrated artists.Jonathan Levine Projects is committed to new and cutting edge art. Our roots go back to 1995 when LeVine's life-long participation in punk and underground music grew into a curatorial experiment with the visual culture that surrounded him. In 2005, he opened Jonathan LeVine Gallery in the Chelsea district of New York City and had great success nurturing the careers of many celebrated artists. In 2017, the gallery relocated to Jersey City with a newfound focus on community and collaboration. The newly named Jonathan LeVine Projects is located within Mana Contemporary, a leading arts organization dedicated to celebrating the creative process. We aim to create engaging programs and interesting partnerships beyond our gallery space, such as public murals and pop-up exhibitions. With an eye towards honoring and connecting with the history and context of Post War art, Jonathan LeVine Projects explores the terrain of the high/low and everything in between.